The Carbon Tax: Good for the Planet or a Tax Grab? Prime Minister Justin Trudeau reiterated again that he will not wait on provinces who are opposed to his carbon tax. This was a not-so-veiled attack on Ontario Premier Doug Ford and Saskatchewan Premier Scott Moe, the two most outspoken critics of the carbon tax plan. While the Liberal carbon tax scheme continues to stir up a hornet’s nest of controversy among politicians, it’s also causing a lot of head-scratching among Canadians, many of whom are unclear on why a carbon tax is necessary and what effect it will have on their wallets. So let’s try to clear the air on what this carbon tax is all about. In its Pan-Canadian Framework on Clean Growth and Climate Change, the federal government mandated that all provinces must come up with some kind of mechanism that penalizes companies that don’t try to minimize up their environmental footprint. Taking effect in January, the Greenhouse Gas Pollution Pricing Act will begin collecting tax on industries based on the amount of carbon dioxide they emit from the production of their goods. The tax will start at $20-per-tonne of CO2 emissions, rising to to $50-per-tonne in 2022. 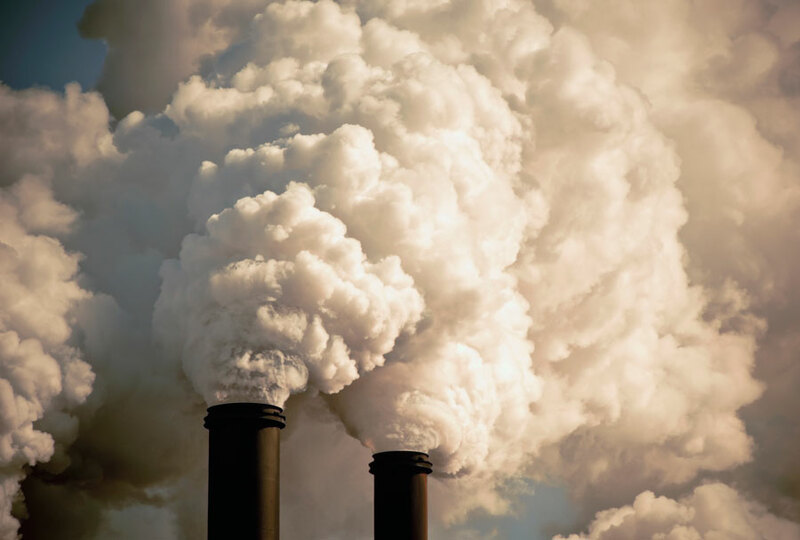 The government hopes that the punitive measures of what is, in effect, a pollution tax, will encourage companies to begin lessening their carbon emissions, thus lessening their negative impact on the environment. Why is the carbon tax controversial? Consumers will have to pay more for everything. Companies will pass the tax on to consumers meaning we’ll pay more for everything from electricity, heating our homes, filling up our cars and for any made-in-Canada product that is produced by CO2-spewing factories. One study predicts that by 2022, when the carbon tax hits its peak, most households will be paying an extra $700 – $1,000 per year, depending where you live in the country. It will hurt the economy, pushing factories out of Canada to places where there are no carbon taxes, like the U.S. or Mexico. It’s a thinly disguised money grab. Although the Prime Minister claims that the carbon tax will be funnelled back to individual Canadian households, opponents are pointing to B.C. carbon-tax experience, where the government has passed back only half of the proceeds to the people. It will be largely ineffectual in improving the environment: Canada only produces six per cent of all the carbon emissions per year, well behind China, the U.S. and India, none of which have pollution taxes. Why do the Liberals feel it’s necessary? Prime Minister Justin Trudeau and Environment Minister Katherine McKenna have repeatedly claimed the carbon tax is necessary to address greenhouse gas emissions and its negative effect on the environment without severely harming the economy. They point to the fact that B.C.’s 10-year-old carbon tax has not put a dent in that province’s robust economy. Plus, they claim the carbon tax will be revenue neutral, meaning that all monies raised by the tax will be sent back to consumers. Households would receive a cheque each year to offset the extra price they’re paying because of the tax. 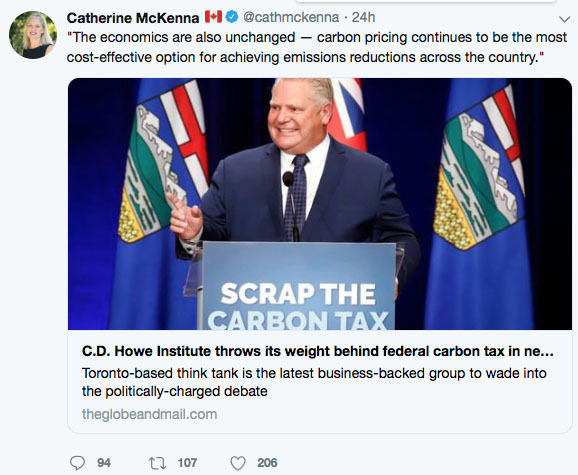 This would mean that Canadians at a certain income cutoff would receive roughly $350 next year, an amount which would increase as the carbon tax rises.